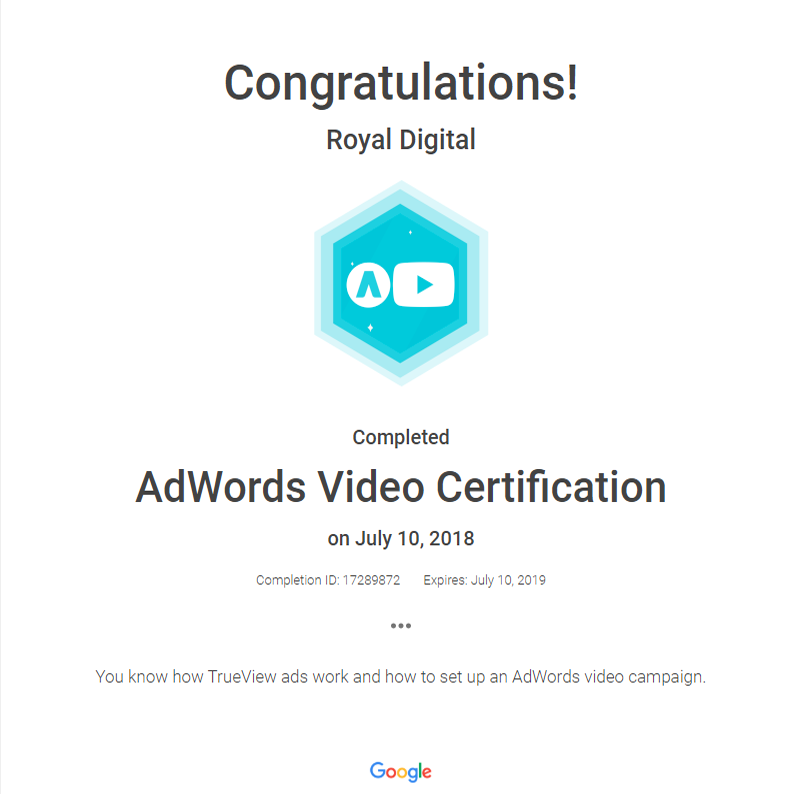 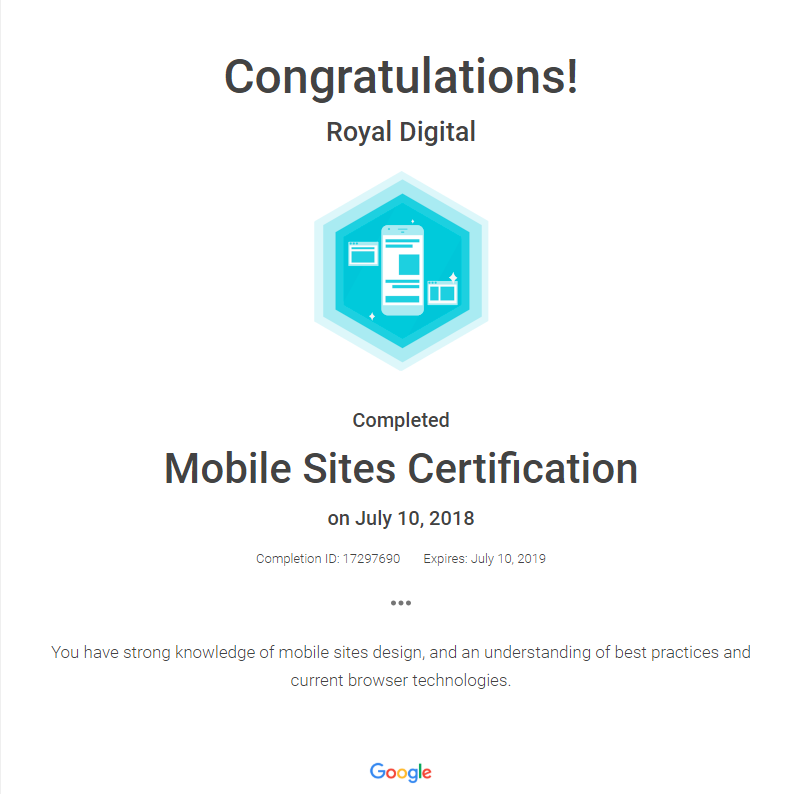 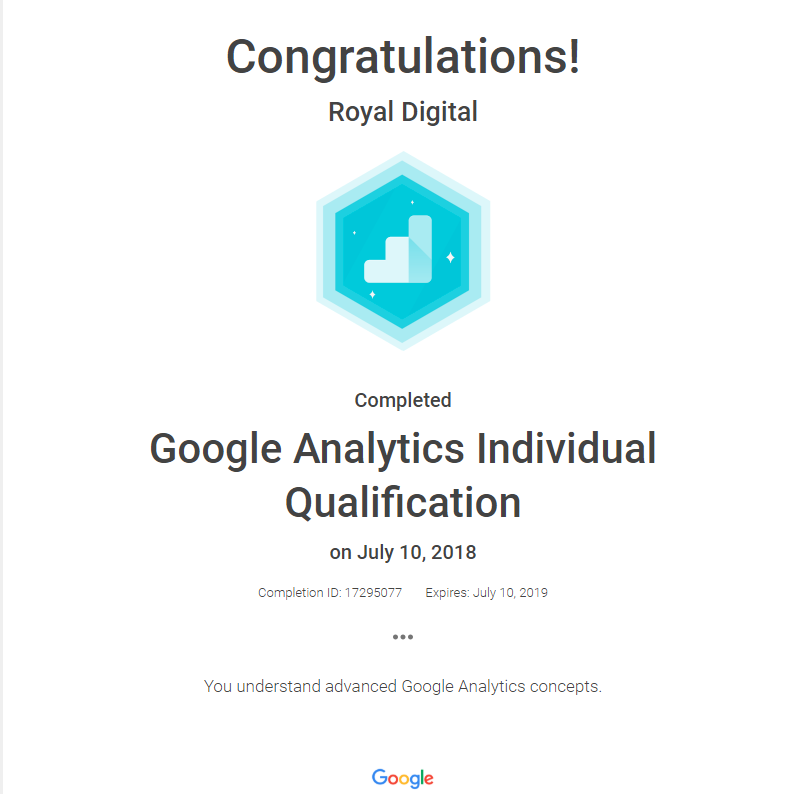 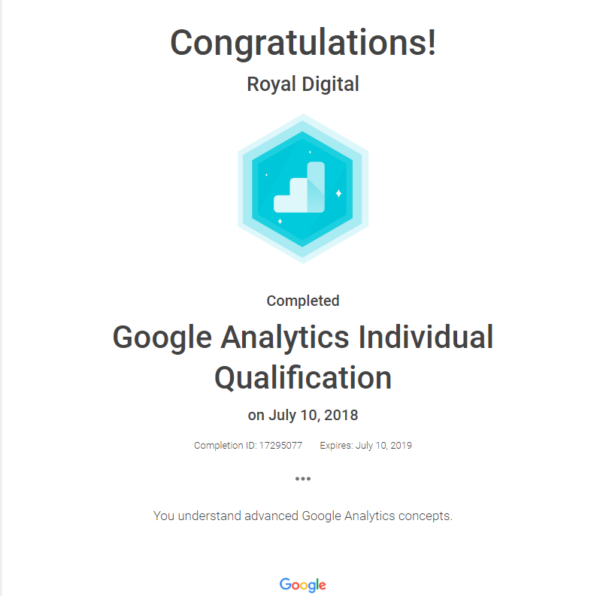 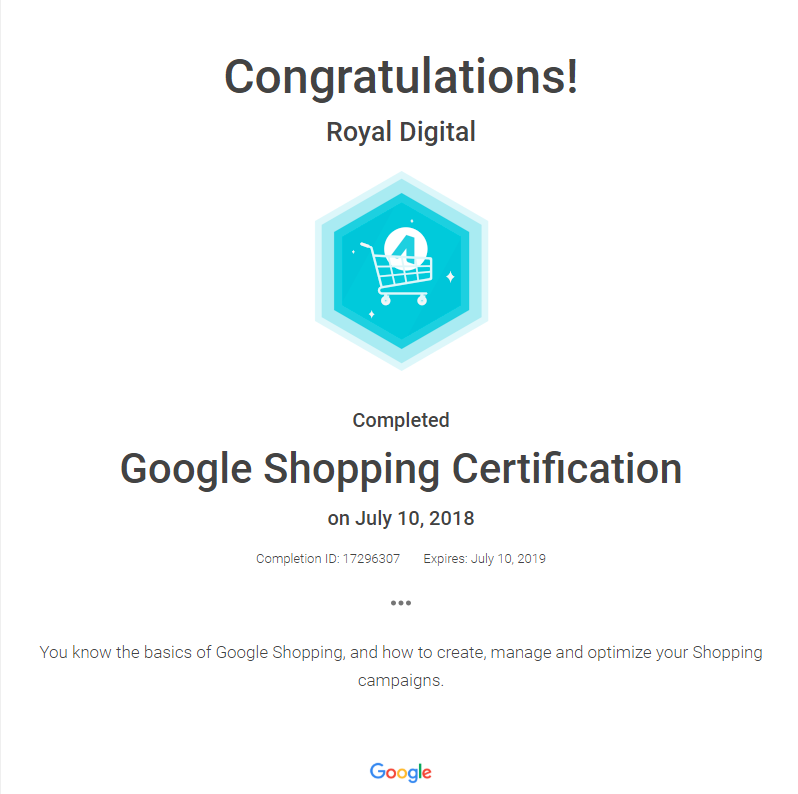 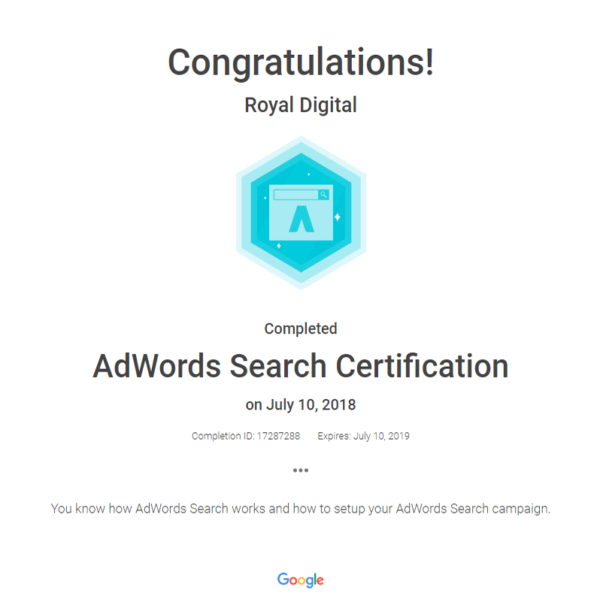 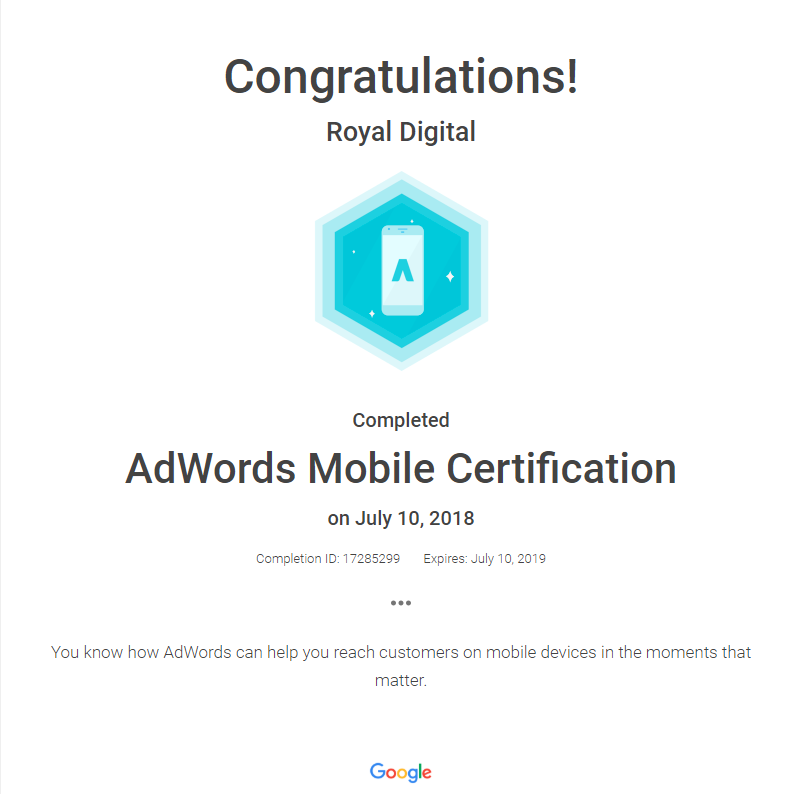 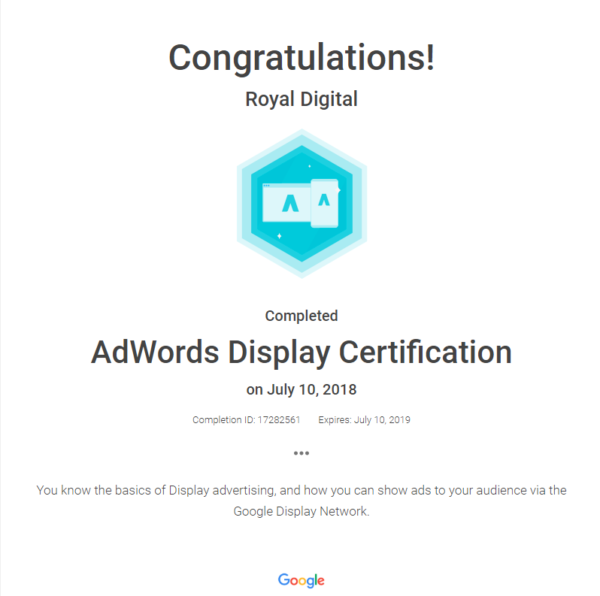 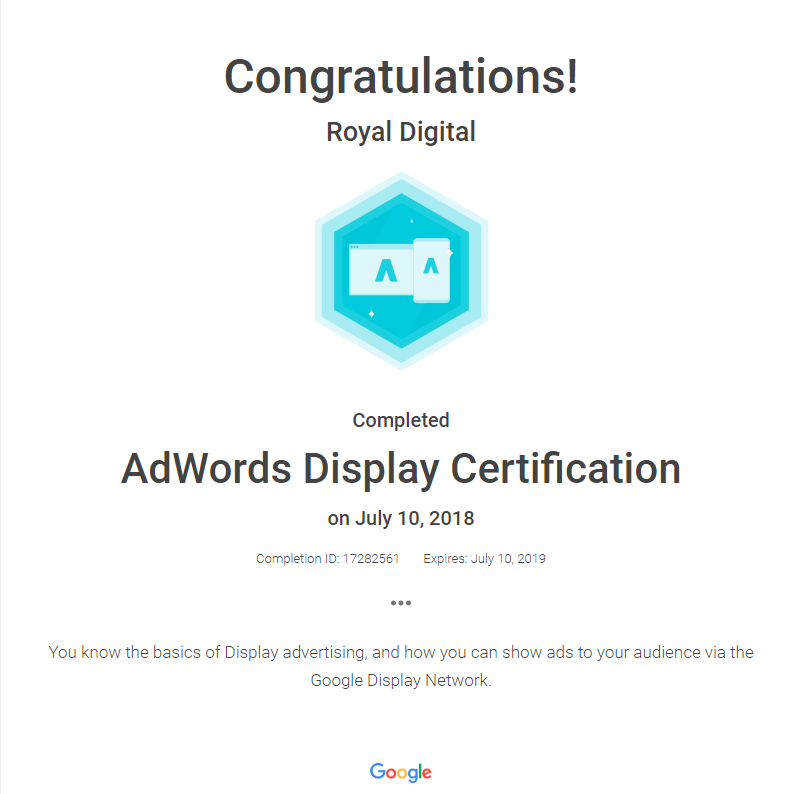 At Royal Digital, we pride ourselves in achieving Google certifications for our hard work and dedication. 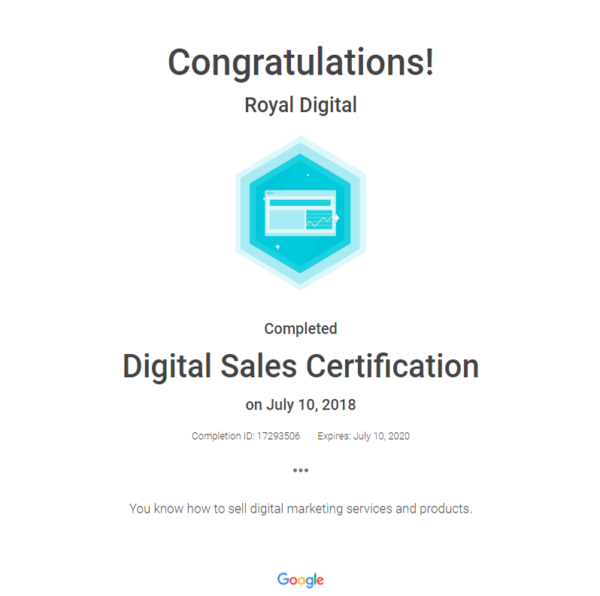 Our efforts have payed off in the form of certifications and awards we’ve received. 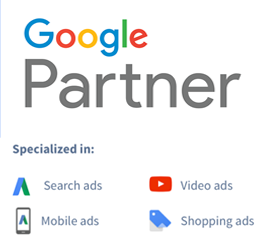 Well, we are continuing with our dedication and hard work to offer the best possible services to our clients and for turning out to be the best digital marketing agency in the world.